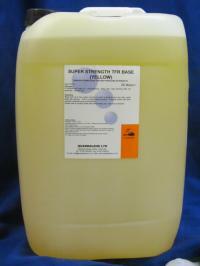 A concentrated base for manufacturing heavy duty, high foaming Traffic Film Removers, Silicone free. We have actually diluted this product into 975 Litres of water for use in hand car washes and it worked! This really is a super product, we advise that this product should be diluted into 180 Litres of water for use with high pressure cleaners.